Who's Carl This Time? Carl reads three quotes from the week's news: annoying Little Drummer Boys, the Cain mutiny; and the Earth reaches capacity. Carl reads three quotes from the week's news: annoying Little Drummer Boys, the Cain mutiny; and the Earth reaches capacity. 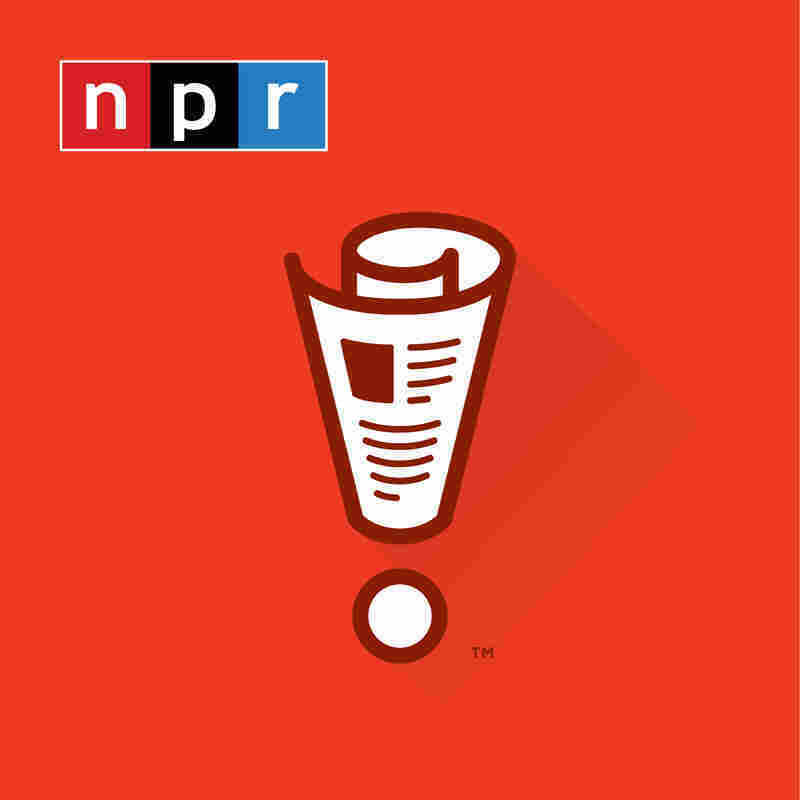 CARL KASELL, host: From NPR and WBEZ-Chicago, this is WAIT WAIT...DON'T TELL ME!, the NPR News quiz. I'm Carl Kasell, and here's your host, at the Clews Memorial Hall in Indianapolis, Indiana, Peter Sagal. PETER SAGAL, host: Thank you, Carl. SAGAL: It's great to make our debut finally here in Indianapolis, especially because this is the first major city that we were able to drive to from Chicago. SAGAL: Now, we still wanted to be safe, so instead of the TSA screenings, before our crew got in the van we had Carl Kasell pat everyone down. KASELL: Please, please turn your head and cough. SAGAL: It worked out fine. Anyway, you pose no threat; you're on the phone. The number 1-888-Wait-Wait, that's 1-888-924-8924. It's time to welcome our first listener contestant. Hi, you're on WAIT WAIT...DON'T TELL ME! SYLVIA BRUNER: Hi, this is Sylvia from Buffalo, Wyoming. SAGAL: Buffalo, Wyoming. I have not heard of Buffalo, Wyoming. Where is that? BRUNER: Well, we're located in the middle of nowhere, northern Wyoming. SAGAL: You might, it occurs to me, unlike the other Buffalo, more well known, you might actually have buffalo in Buffalo, Wyoming. Is that the case? BRUNER: You know what, I think we actually do. SAGAL: Because they're hard to miss has been my experience. They're large, shambling beasts. BRUNER: I know we serve them in town at restaurants. TOM BODETT: They eat at your restaurants. SAGAL: Really? They come in, oh yeah. SAGAL: Buffalo welcomed here, they say. BODETT: Buffalo served here, yeah. SAGAL: They have buffalo sections. Well, welcome to the show, Sylvia. Let me introduce you to our panel this week. First, say hello to a humorist and author of the new audio book: "It's Just Like I Told You: 25 Years of Comments and Comic Pieces," available at a download near you, Mr. Tom Bodett. SAGAL: Next, it's one of the women behind the Washington Post's Reliable Source column, Ms. Roxanne Roberts. SAGAL: Finally, it's a comedian who'll be performing at the Belly Room at the Comedy Store in Los Angeles, on November 3rd, it's Brian Babylon. BRIAN BABYLON: Hey, hey, how are you? SAGAL: So, Sylvia, welcome to the show. You'll start us off, of course, with Who's Carl This Time. Carl Kasell, as he habitually does, will recreate for you three quotations from the week's news. Your job, correctly identify or explain just two of them. Do that, you'll win our prize: Carl's voice on your voicemail. Ready to go? BRUNER: I'm as ready as I'll ever be. SAGAL: All right, then, that's kind of fatalistic. SAGAL: But let's just go. Here we go; here is your first quote. KASELL: I hate drum circles, but I hate corporate greed more. SAGAL: That was a sign held at one of the many protests that are finally going big time. What protests? BRUNER: The Wall Street protests. SAGAL: Yeah, the Occupy Wall Street protests they're called. SAGAL: They're still going on. SAGAL: It was a momentous week for the protestors. Now, early in the week at Zuccotti Park in New York, the drummers who want to bang on their drums all day were banging on their drums, but the protestors governing body wanted to get some sleep. So they tried to limit the drummers to two hours a day. And the reaction from the drummers was, quote, "They're becoming the government we're trying to protest." SAGAL: The anti-drumming faction then accused the drummers of being in the pocket of Big Bongo. SAGAL: Then the drummers responded by forming their own new protest movement, Occupy Occupy Wall Street. SAGAL: Which was countered by an even newer group: We are the 99 percent who hate all of that damned drumming. BABYLON: Yeah, I had to see it for myself. And there was a few people with good messages sprinkled in, but I couldn't concentrate because, like, Darth Vader was pop locking, you know, next to him. BABYLON: This guy was in a Darth Vader suit pop locking, and I'm like, "Darth Vader, you're one percent, man." BABYLON: Yeah, you have like a union workforce building Death Stars and all that. BABYLON: I mean, it was insane. SAGAL: But then, later in the week, the movement was given a vote of confidence by the Oakland Police, who raided their encampment. I mean, you do not waste tear gas on some third rate fly by night protest, right? SAGAL: Authorities claim they were concerned about the dangerously unsanitary conditions at the protestors' camp. Oh, that's what it was. SAGAL: We assume they then went and sent a SWAT team to blow up the nearest Taco Bell. SAGAL: I mean that was their thing. They said, oh, we needed to throw tear gas and flash grenades and violently expel them from the grounds because we were concerned about, you know, their sanitation. How does the police chief of Oakland clean his toilet? Throw a grenade in it and flush? BABYLON: I see a nice marketing opportunity for Febreeze in all this. SAGAL: Well, you know what's funny, funny that you should mention that because somebody this week - it's been a big week for Occupy Wall Street - somebody tried to file a trademark on the term "Occupy Wall Street" so they can sell protestor merch. SAGAL: Yeah. In fact, this is so mainstream MTV is creating a reality show about the Occupy protestors. You know, they're young, they're cute, they're hooking up, they have a progressive critique of the distribution of wealth. And they can do a crossover episode with "The Jersey Shore" and address the inequality of silicon distribution on J-Wow. SAGAL: Your next quote is an emailed instruction to the campaign staff of a GOP presidential candidate, one who is still, surprisingly, the frontrunner. KASELL: Do not speak to him unless you're spoken to. SAGAL: Who doesn't want anybody flapping their lips at him? BRUNER: Oh boy, Herman Cain. SAGAL: Yes, Herman Cain, right. SAGAL: Here's the thing about presidential candidate Herman Cain. He is still leading the national polls of GOP voters, but he doesn't do any of the things that successful traditional presidential campaigns do, like have a presidential campaign. SAGAL: In addition to refusing to talk to his own staff - they rarely even know where he is - he keeps mangling his own policy statements, if he can figure out what they are, or he mocks the very idea of expertise. Quote, "When they ask me who's the president of Ubeki-beki-beki-beki-stan-stan, I'm going to say, you know, I don't know," unquote. That statement, by the way, really hurt U.S. relations with Ubeki-beki-beki-beki-stan-stan-stan. SAGAL: They have threatened to cut off their exports of excess syllables. ROBERTS: I think you're missing the point here. ROBERTS: Well, you said he's not running a presidential campaign, but it's not real clear he wants to be president. I think he's just having a fabulous time. BABYLON: I just want to see how far this is going to go. SAGAL: How far can it go? BODETT: Well it can - you never know. You see, if he's - he has no organization. BODETT: He has no staff. He has no clear policies. He's trying to co-op the Occupy Wall Street momentum. SAGAL: It's like the great thing about America is anybody could be president. The tragic thing about America, anybody could be president. SAGAL: All right, here is your last quote. BABYLON: Are you all right? SAGAL: Okay. That was Carl's interpretation of the birth of a baby. SAGAL: And this baby, who'll be joining us soon, will have a very important distinction. Do you know what that baby will be, wherever it's born, somewhere in the world? SAGAL: ...in terms of world population. SAGAL: How about - I'll give it to you. Sometime within the next week or so, the seven billionth person is going to be born on this planet. Nobody knows where. Nobody knows exactly when. But we can be sure that that child, whenever he or she is born, will look around at what our planet is like now and immediately try to go back in. SAGAL: We must be violating some sort of fire code, right? SAGAL: And this is interesting, for the six billionth baby, which is only like 12 years ago, they actually named the baby. So the baby is growing up, I'm number six billion. But for the seventh billion baby, they're asking all the countries to nominate their own, so they can have various candidates to be the seven billionth baby. And weirdly, Herman Cain is leading that poll too. BODETT: You know there's twice as many people in the world as there was when I was born? BODETT: Yeah. And you know what, I've noticed it. BODETT: I have. It was a lonelier place as a child. BABYLON: What do you guys think sparked this? Was it the internet? BODETT: What, the population boom? BABYLON: Yeah, I don't know. BODETT: I don't think so. SAGAL: No, no, no, no. ROBERTS: I blame reality TV. ROBERTS: I just blame reality TV on everything. SAGAL: Oh, I see. Carl, how did Sylvia do on our quiz? KASELL: Sylvia, you had two correct answers, so I'll be doing the message on your voicemail. BRUNER: Thank you. Thank you for letting me play.